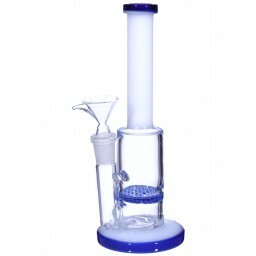 8" Percolator With Down Stem Diffuser And Bowl- Hot Purple -The Greatest Online Smoke Shop! 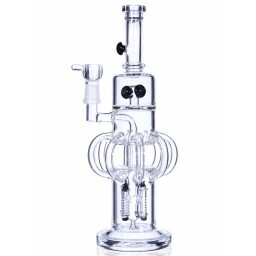 Single dome shaped percolator with 3 holes. 19mm Joint size. Round bottom percolator bong. Ice Catcher notches. This percolator comes in a gorgeous Hot Purple color. Pipe comes complete with ice catcher for a further superior smoke! Glass on glass down stem and 14mm dry male bowl with purple accent is included. 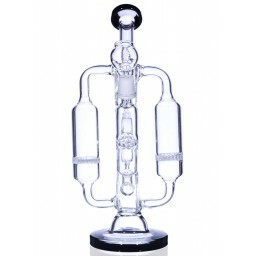 Single dome shaped percolator with 3 holes. 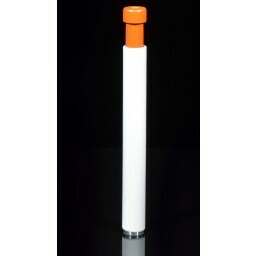 19mm Joint size. Round bottom percolator bong. Ice Catcher notches. Hot Purple Color. 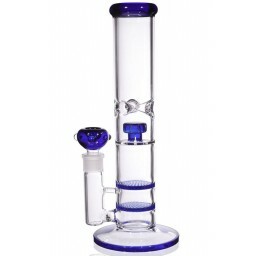 This bong will cool off your smoke for smooth hits. A percolator acts to force smoke through long chambers which further filters the smoke and smoothens it. This 8 inch percolator has a single dome shaped diffuser. This percolator comes in a gorgeous Hot Purple color. Pipe comes complete with ice catcher for a further superior smoke! Glass on glass down stem and 14mm dry male bowl with purple accent is included. 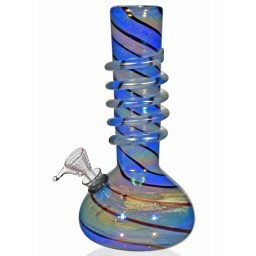 All of our glass items are individually hand-blown and beautifully handcrafted. I'm so happy with this cute little bong! I just received this bong today, and all I can say is WOW! I purchased it on Thursday night and it shipped Friday. It's now Tuesday, that was super duper fast for free shipping! I've purchased a pipe here before as well, and that also came so so quickly with no damage at all. The Bong was also packed very well. Thank you so much for a great Purchase! I am happy with my new pipe 8" Percolator With Down Stem Diffuser And Bowl- Hot Purple you can't beat free shipping I got it in two days. Super fast for free shipping. I have just received the purple bong that I ordered last week. I instantly opened the package and washed the bong. Omgosh it was the best,and the smoothiest hit ever. I am really enjoying my purchase that I mad with your company. I will be telling my friends about your company and the products. Another thing I forgot to add I how reasonably priced the product was. Another thing I forgot to mention how quick I received my purchase. Very very impressed. Thank you for making me a very happy customer !